The UK Prime Minister Theresa May has vowed that Indian immigrants will be treated on par with EU immigrants’ post-Brexit. EU migrants will no longer be able to surpass the queue ahead of the ones from nations such as India, added May. The UK PM was addressing the annual conference of Confederation of British Industry in London. She said that the UK immigration system will be based on talents and skills post-Brexit. It will not be based on the nation of origin of the immigrants, said May. We will be in full control of who arrive at the UK upon exit from the EU said the Prime Minister. It will not be possible for EU citizens to jump the queue despite their experience or skills. This in comparison with Software Developers from India or Engineers from Australia, said the PM. Now we have a system based on the nation of origin of the immigrants elaborated May. We will replace it with one based on skills and talents the immigrants possess, she clarified. The core of the UK immigration system post-Brexit will be based on skills and not quota, added May. The current freedom of movement rules of the EU is in favor of the immigrant workers from inside the bloc. These can freely arrive at the UK and find jobs, as quoted by the Daily Pioneer. On the other hand, those from non-EU nations such as Indian immigrants must undergo stringent requirements for Visa application. The UK government has indicated a change in Visa rules after the formal exit from the EU. Workers from any nation will be subjected to similar rules for UK Visas. The UK Prime Minister has made this statement even as a section of the Tory MPs has rebelled against her. 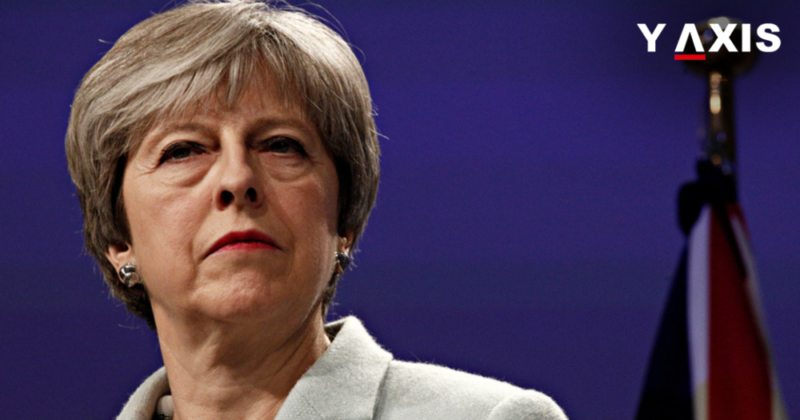 They are planning a coup to oust her as the UK PM and the leader of the party.